What about 3G or 4G? Atlanta is a major American city so of course it has coverage under all of the nationwide cellular services including AT&T, T-Mobile, Sprint and Verizon. It also has 4G coverage, both WiMax and LTE (details below). So you have a number of options to stay connected. Let’s start with the free stuff. There are a few locations you can get free WiFi, if you are willing to venture outside the comforts of the five host hotels. Keep in mind the host hotels are business hotels (not resorts) and they stay in business by selling services to convention goers. So the wireless internet is definitely not free inside the hotels (with a few exceptions). I did some exploring and found at least eight easily accessible locations near the convention where you can get free WiFi. These are perfect for a daily photo upload or blog post, but will definitely not keep you connected 24/7. Please keep in mind these are all associated with businesses, and they would appreciate your support. At least buy a Coke or a coffee or something before using their bandwidth! Also keep in mind most of these businesses are not open 24 hours – some are not open at all on Saturday or Sunday. I’ve included their phone numbers so you can check. Hilton now has free WiFi in the lobby & public areas, see below. Hyatt now offers two hours of free WiFi in lobby, see below. WiFi is a bit more complicated at the hotels. Because Dragon*Con is spread across five official hotels, and each is run by a different company, the WiFi details vary. I’ve got the details below, they were accurate last year and I’ve done my best to check for changes this year. Leave a comment if you find a mistake. Updated August 30: Hilton WiFi is now free in public areas! The Hilton runs its own WiFi and has coverage throughout the building. You can use the SSID of “hhonors” (like most Hilton properties) or “attwifi” – it’s the same system. It’s free in the public areas. On Thursday I measured the speed of their system in the Skeptrack room at 2 Mbps download, about 0.95 Mbps upload. Your mileage may vary during the convention, of course – thousands more people will be here. Up in the rooms use “hhonors” and you will be charged, unless you room is on an Executive Level or your HHonors membership is Gold or Diamond. Because AT&T/Wayport runs it for the hotel, if you have an AT&T wireless plan you can log in with that at no extra charge. Just follow the prompts on the login screen. If you do have to pay, you can bill it to your room or a credit card, it’s $5.95 for an hour or $12.95 for a full day. Tip: if you sweet-talk a hotel employee such as the Concierge, they can give you a code to access the wireless. Be subtle. Note there are also access points named “Hilton-Meeting” which are for other events, these require an event code – don’t bother with those. This hotel is directly across Courtland Street from the Hilton and is often the center of evening activities due to its large atrium lobby and many bars. Their wireless is provided by iBAHN. (SSID: “ibahn” or “Marriott_Lobby”). If you are Marriott Rewards Gold or Platinum Elite member, you get free wireless. Many of these providers have per-day or monthly subscription prices considerably lower than $12.95 or $9.95 per day. For instance, I use Boingo sometimes at airports, and they offer a $9.95 per month subscription rate. T-Mobile has a $9.99 per month rate for those with phone contracts. There are other rates and plans including per-day rates that vary with location. You may already have an account with one of them. If not, set up an account on one of these other providers prior to arriving at the hotel. (AT&T, Boingo, BT OpenZone and T-Mobile seem well suited for home users, the others are very business oriented). Note that like the Hilton, the Marriott has separate access points for meetings which provide free WiFi to participants, these are named “ibahn_conference” or “Marriott_Conference”. Don’t bother with these, as Dragon*Con has not paid the Marriott to enable them. The Hyatt provides it’s own wireless (SSID: “Hyatt”) in the lobby and meeting areas. The T-Mobile hotspot coverage which was here in the past is gone. Hyatt’s pricing is $12.95 for 24 hours of use, per device. There are also other plans, like $5.95 for 3 hours, and $9.95 for lower speed and so on. Hyatt explicitly disclaims their own WiFi coverage in their meeting rooms, which are mostly on the lower levels of the hotel, so be warned. (Also see the 3G/4G section below). New in 2012: There’s now a separate “Hyatt Lobby” hotspot that gives you 2 free hours of access in the lobby areas. I measured the speed of that on Thursday at 1.91 Mbps download and 0.93 Mbps upload, but your mileage may vary. There’s also a “Hyatt Regency Meeting” hotspot, but this is just like the other hotels, don’t use it. This hotel has a partially free WiFi (SSID: “Link @ Sheraton”). It gives you access for 2 hours and covers the lobby areas. Keep in mind the caveat though – as a free option, it is bound to be overloaded a bit. (Also, its supposed to be just for guests of the hotel, so play it cool). After the first 2 hours of free access, it will force you to log back for another 2 hours in but according to the Sheraton employees I spoke to on Thursday, there’s no additional fee. Sheraton also has a nice open access computer area one floor above the lobby, with eight computers and a printer that guests can use. I would expect these to be overloaded with users during the convention, but might be useful in a pinch. What about 3G or 4G coverage? Based on the above rates, WiFi could be costly, depending on how you need to use it. You might be considering relying on the 3G/4G coverage of your mobile device, possibly including tethering your laptop or tablet to it. Atlanta has 4G of all flavors now, including WiMax from Clear, Sprint, Comcast and others and LTE from AT&T, Verizon and Sprint. I’ve used both Sprint and Clear from windowed rooms in the Hilton quite successfully in past years. Relying on 3G/4G can work, but there are some gotchas. Particularly in the Marriott and the Hyatt, many of the smaller meeting rooms (such as the track rooms) are fairly deep inside the building. Some are technically in basement levels. These are very large concrete and steel buildings, and therefore the wireless signals often don’t penetrate that deeply inside the building. I’ve even had trouble with 4G speeds in the Hyatt lobby area in the past, which has plenty of glass above it. Bottom line: until you actually try it out, don’t assume your wireless Internet service on your mobile device will work in any particular room that doesn’t have windows. In particular, check the Hyatt map on page 68, and the Marriott map on page 74 of the Pocket Program Guide to see which rooms are on the lowest levels. Richard Murray reports that AT&T LTE works fine on his iPad3 in the dealers area in the basement of the Marriott. If you’re planning to live blog, live tweet and so on at the show, be mindful of your power requirements! Always have a charger with you, and take any opportunity you can to grab a recharge while attending programming. In most of the track rooms, particularly the smaller ones, there are usually several electric outlets available. The key is finding a seat where you can reach one – so make sure you get there early for popular programming. As happens in airports, the available outlets might get claimed before you get there. Constant tweeting, photos and other communication will eat up your battery much faster than normal phone use. The bottom line is: plan ahead. 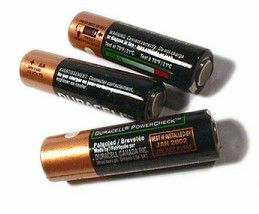 If your devices have removable batteries, buy extras and bring them with you! Be very diligent about recharging all your batteries each night so you start each day ahead of the game. For portable devices that can charge from a USB port, there are a number of options in the form of an external battery packs. I found a couple of options on Amazon.com in my research. There are plenty of ways to stay connected via WiFi and other forms of wireless Internet while attending Dragon*Con 2012. Make good use of them to maximize the value you get out of the weekend. You can follow me on Twitter here as well. These are some great tips Tim. Just a couple of things to add, might be useful for some. 1. If you own a Seagate Satellite external hard drive, you can use it as a hotspot when connecting to another WiFi service. This in a sense will allow you to utilize one connection to the WiFi provider (thus one charge) but actually connect up to 5 devices at a time. The same principal should work for something like an Airport Express or similar portable router.